Bloodla Gisdain is a demonic noblewoman and general of her father's legion. She leads the only legion within The Nine Hells with female commanders. Against all odds, she must regain control of a strategically positioned hill as part of a military campaign to push the invaders from her homeland. Only Bloodla's father is rooting for her success. All of the other powers that be from The Lords of The Nine Hells to The Fates either wish for her failure or directly conspire against her, making a monumental task all the more difficult. Can Bloodla overcome the obstacles that stand in her way and prove once and for all that women can fight every bit as effectively as men, or will her hopes and dreams be shattered on a brimstone slope? Much is at stake for Boodla Gisdain. Written in the first-person, you witness the choices for better or for worse this Madame Commander must make in the process of overcoming the obstacles unique to being a woman in a male-dominated occupation. The military has traditionally been a profession for men, especially within The Nine Hells. Bloodla is a strong-willed woman who feels that women can be just as good at soldiering as their male counterparts, maybe even better because women have intuition and insights that men do not possess. Will the feminist reforms for which she fights be destroyed on this hillside, or will Bloodla prove her worth to the benefit of women kind? Bloodla has a date with destiny that culminates on a steep battlefield in Hell. Much rides on her composure in the face of adversity for herself and all women who have aspirations to be soldiers and battle for things they hold dear, just as men have done since the dawn of Time. Can this Madame Commander find it within herself to overcome all that opposes her? Swords, sorcery, and technology all come into play as you witness this drama unfold. A little over 18, 800 words, this story is more than double the length of "A Rude Awakening," and a ride with which to reckon. It is the very next step in setting the table for the epic tale, Dances Of Deliverance, a struggle of epic proportion that brings into question the very existence of mankind. You won't want to miss out on this multi-layered story. 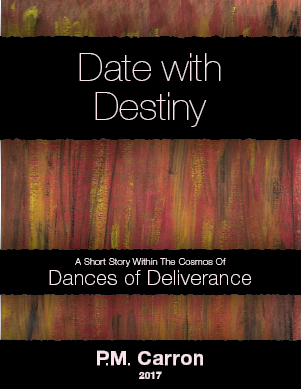 "Date With Destiny" is a tale you won't regret taking the time to read because the energy of it is heart-pounding and deliciously exhilarating! The Night of Madness comes to Dylath-Leen, and most people leave for far-flung sanctuaries. Romin Schmutz must remain in the deserted city. As a librarian of The Boreal Library, he has been chosen for a third tour of protecting the library's priceless artifacts and tomes. Romin must batten-down the hatches and ride out the impending doom that threatens the very existences of his charges. When the crisis recedes, will anything be left of the library? More importantly, will there be anything left of the relics? Romin has survived two previous Nights of Madness without incident, but this third tour feels different. He senses the impending doom, knowing there is nothing he can do to stop it. Romin's sole companion is a creation of his named Milo. Solitude is nothing new to a librarian such as Romin, but are the ideas he reads about and Milo enough to keep him from slipping into a mad fugue? At just under 16, 500 words, this story is almost twice as long as "A Rude Awakening" and more than double the intrigue. Written from the perspective of Romin, you hear, see, and feel in vivid detail every sensation and emotion that courses through him. 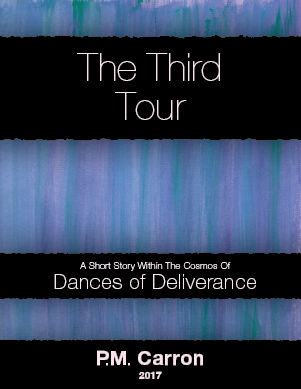 This story is the next step in setting the stage for the epic tale, Dances of Deliverance, a struggle of colossal proportion that brings the very existence of mankind into question. You won't want to skip this one. It is a roller coaster of a ride, living through the ups and downs of Romin's third tour of duty. Clott cannot get one night out of his head. That was the night his home was invaded by a band of savage monsters. Years later, he is still traumatized by the life-altering event which keeps churning over and over in his head. Why can't he move on with his life and live and forget as his wife has done? One night everything comes to a head, and Clott is left with no choice but to face the demons that haunt him. Can the man who has been such a faithful servant of The Cosmos put the home invasion in perspective and continue maintaining the purity and sanctity of his natural surroundings or will that fateful event be the end of him? Within the span of 8, 700 words you have a front row seat within the mind of a man of the cloth who must face what ultimately could drive him into a state of madness from where there is no return. A must read that will have you on the edge of your seat, rooting for Clott as he goes through his trials and tribulations. 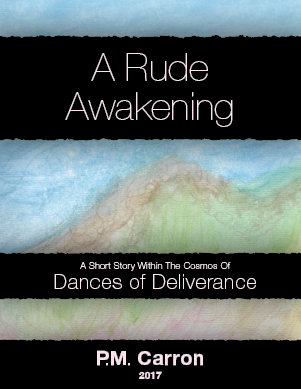 This story sets the stage for the epic tale, Dances Of Deliverance, a struggle of colossal proportions that puts the very existence of mankind at risk. This is a wild ride you won't regret taking to a place within the realms of fantasy from where you won't want to return.